Hanoi (VNA) – The policy of land and forest allocation for residential communities and ethnic households living in mountainous areas has proved effective over the past more than two decades, reported the Ministry of Agriculture and Rural Development. The forest coverage surged from 27.8 percent in 1990 to 39.5 percent in 2010 and 41.19 percent in 2016. From 2006-2016, forest coverage expanded by more than 1.5 million ha, or 150,000 ha per year. 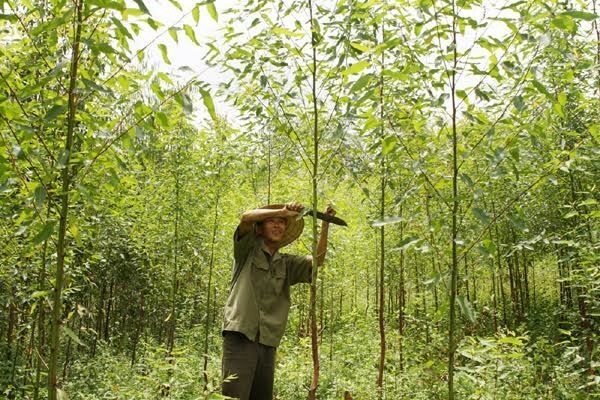 Deputy Minister of Agriculture and Rural Development Ha Cong Tuan asked localities to monitor the use and management of forest and forestry land, rally resources for the effort, and thoroughly deal with violations. As of the late 2016, up to 11,258,730 hectares, or nearly 78 percent of forest coverage nationwide, were allocated to the management boards for special-purpose and protection forests; State, non-State and foreign businesses; households and individuals; armed forces and other units while the remaining were under the close watch of the communal People’s Committees. The total forest and forestry land coverage for rent has so far amounted to 160,917ha.